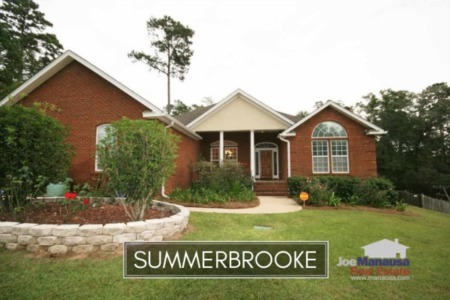 Summerbrooke in Northeast Tallahassee is an affordable solution for people who enjoy living in a golf course community but want to maintain a budget well below $400,000. Home values have risen fast lately in Summerbrooke, thus the pace of sales has slowed this year. 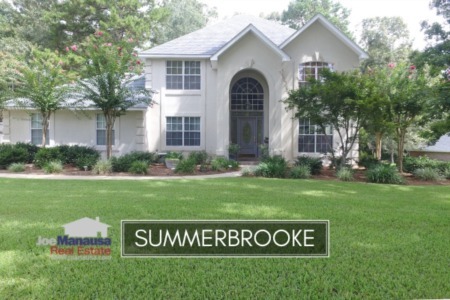 Over the past ten years, Summerbrooke has averaged more than 40 homes sold per year, ranking it among the top ten most active neighborhoods in Tallahassee. But not this year. WIth 11 homes currently on the market and four under contract and 18 already closed, it appears as if 2016 will be a little slower for Summerbrooke home sellers. I suspect this is just (normal) a reaction to rising values and the market will catch up in the coming months and years. Buyers continue to tell us they favor the A rated schools here (Hawks Rise Elementary, Deerlake Middle School and Chiles High School), and they love living in the heart of the popular 32312 zip code with great access to both downtown as well as the new Bannerman developments. In this report, we have included graphs of average home prices, home value trends, and home sizes in Summerbrooke, as well as all current listings in the Tallahassee MLS and all closed home sales going back to 1991. It is important to note that the narrative contained below is for sales through December for all previous years, but through July in 2016. The graphs and the closed sales table will be continuously updated into the future (meaning bookmark this page if you always want to know the current status of homes in the Summerbrooke). The average recorded home price for Summerbrooke in 2016 has been $358,100, which is roughly 5% higher than what homebuyers paid on average in 2015. Currently, there are 11 homes for sale in Summerbrooke, and 4 are already under contract. Through the writing of this report, there has been 18 closed home sales in Summerbrooke. Average home values in Summerbrooke have spiked higher in 2016, up a whopping 8% after experiencing virtually no movement in the past 6 years. Homeowners will be happy to hear that appreciation appears to have returned to the Summerbrooke community, but it also has slowed sales so we'll probably see values stabilize for the next six months or so while buyers get accustomed to the new value range here. As of this writing, the average value of a home in Summerbrooke has been $134 per square foot. The average home size sold in Summerbrooke typically falls in a range of 2,600 to 3,200 square feet, and 2016 has produced sales nearer the lower end of this range. Perhaps this is one of the reasons that price per square foot is higher this year. The 18 home sales in 2016 have averaged 2,703 square feet. The following list of homes are the most recent listings in Summerbrooke. Simply click on any image and you will be taken to the full-details of that property. 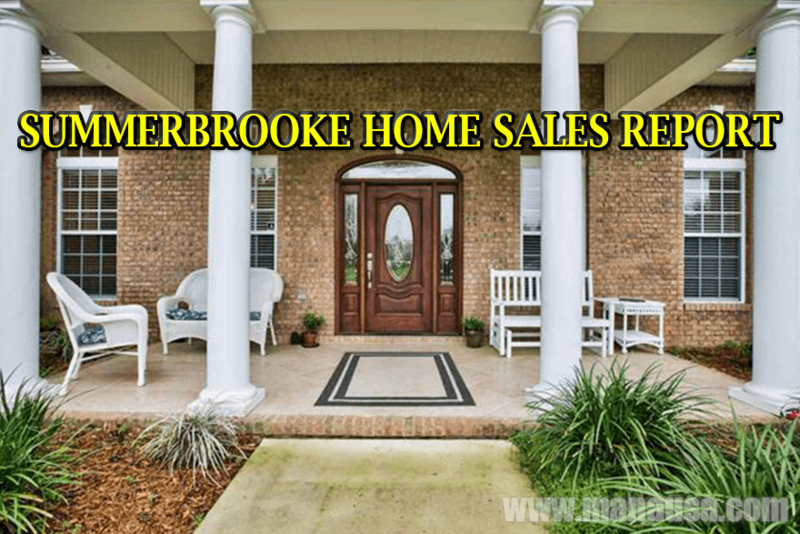 The following list shows more than 1,400 home sales in Summerbrooke going back to 1991. I hope you enjoyed our August 2016 update on home sales in Summerbrooke, please feel free to drop me a note if you have questions not covered in this report.